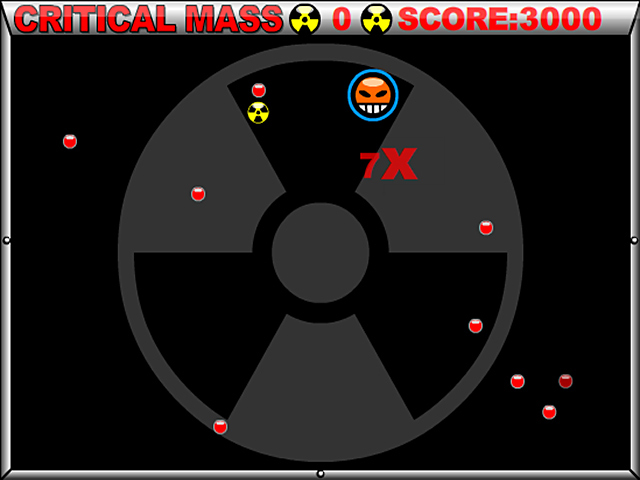 Eat radioactive power-ups to achieve Critical Mass in this fast-paced arcade game. 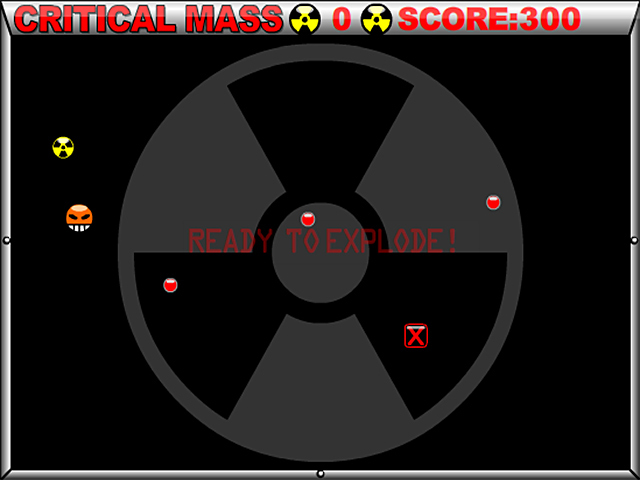 Crash into enemies for a massive explosion!Eat radioactive power-ups and explode!Eat radioactive power-ups to achieve Critical Mass in this fast-paced arcade game. Then, crash into an enemy to produce a spectacular explosion. Use the arrow keys or W, A, S, and D keys to move. Avoid enemies and walls. Collect 5 special power-ups to earn a bonus. 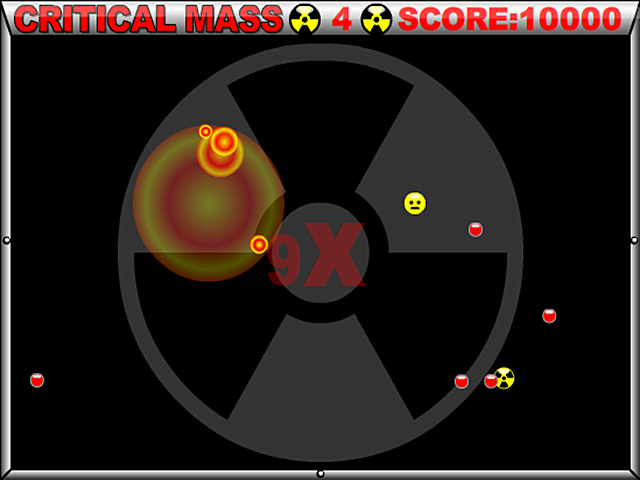 Eat as radioactive many power-ups as possible before you detonate. 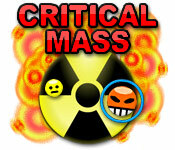 Higher Critical Mass at the time of impact means a more destructive explosion and more points for you!